LONDON (Reuters) – The euro rose to a near two-week high on Monday after assurances from Italy that it would not leave the European Union calmed investors’ nerves before a key European Central Bank (ECB) policy meeting. Italy’s economy minister said on Sunday his new coalition government would not leave the euro or issue securities to pay off companies owed money by the state, a plan investors viewed as a first step toward exiting the bloc. That sent Italian borrowing costs down sharply on Monday as the euro rallied half a percent to $1.1816 (EUR=EBS) toward a two-week high of $1.1840 touched on Thursday. “The Italy comments calmed fears but let’s wait for the government’s policy actions this summer. That will decide the market’s direction,” said MUFG currency strategist Lee Hardman. Investors are raising their bets that the ECB will signal at a policy meeting on Thursday a winding down of its vast bond-buying program by the end of 2018, following a flurry of hawkish comments by officials last week. The euro bounced despite heightened worries about a global trade war following a spat at the Group of Seven summit in Canada between U.S. President Donald Trump and other leaders over automobile tariffs and other issues. Trumped lashed out at Canada and Europe over the U.S. trade deficit after he arrived in Singapore, where he is due to hold an historic meeting with North Korean leader Kim Jong Un on Tuesday. The Mexican peso and Canadian dollar, which has been dogged by fears that Trump may scrap the North American Free Trade Agreement (NAFTA), both fell 0.6 percent. Analysts said that the fairly muted reaction in currencies reflected the low expectations markets had for the G7 summit, despite the fact that the euro is sensitive to the threat of U.S. tariffs on cars. “The overhang of global trade wars is still very much alive but the global FX price action this week will be driven by a stream of other key events,” said Viraj Patel, a currencies analyst at ING. 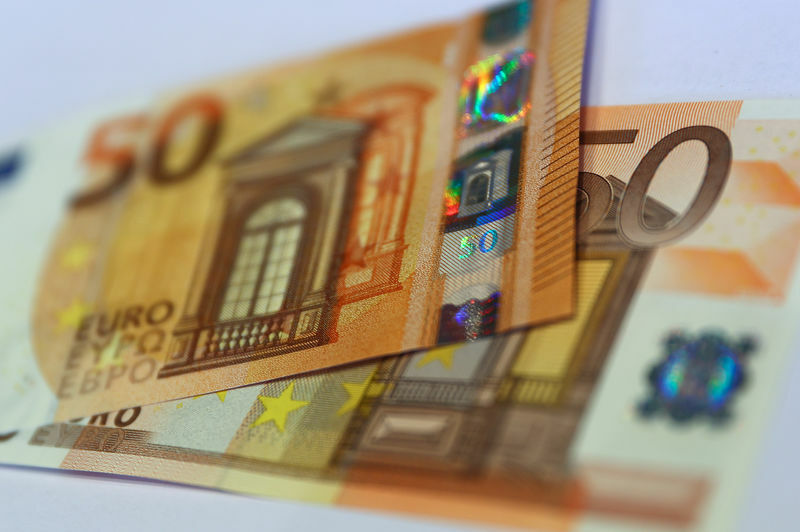 Easing Italian political concerns and speculation the ECB will announce on June 14 when it will unwind its bond purchasing program put the dollar under pressure last week as the euro bounced back from 10-month lows. Before the ECB meeting, the U.S. Federal Reserve is almost unanimously expected to raise interest rates for the second time this year on Wednesday. The market’s focus will be on the Fed’s projection on the path of future interest rates. Elsewhere the Swiss franc weakened nearly 0.3 percent to 1.162 francs to the euro after voters rejected a plan to transform Switzerland’s financial landscape. A Sovereign Money initiative barring commercial banks from electronically creating money when they lend was rejected by more than three-quarters of voters in a referendum on Sunday.